Highly trained and experienced courtroom reporters will do their level best to record depositions, trials, and legal conferences as accurately as possible during the session. However, legal transcripts—unless approved for real-time reporting—are required to be perfected after the legal proceeding to fix any flaws, verify information, and clarify any typos or miscommunication. 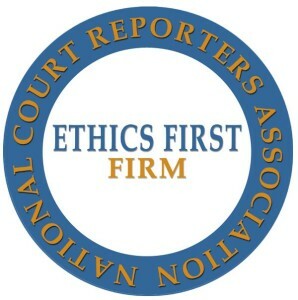 Once the original rough draft transcript is reviewed, edited, and rewritten by the court reporter, it will contain all of the necessary information pertaining to the case (including witness names and personal information) as well as a certification of it being the official record of the proceedings. Unfortunately, this review and editing period can take several days to complete—days that you could be using the rough draft to polish your case. Although the rough draft transcript, also known as a “dirty ASCII,” is not considered a complete or legally-binding record of a deposition and may potentially have the occasional typo, lawyers can request a copy for their own use. A rough draft is delivered immediately or shortly after the deposition, hearing or other legal proceeding. The ability to make notes. With an immediate hard copy of the deposition record (rough draft or not), you can review the gist of what was said and make notes directly on the report that can help you in the following day’s proceedings. If you don’t take advantage of the draft version, and still want to prepare, you’ll have to physically write down what you remember from the proceedings and then take notations. Not only will this approach be unreliable (unless you have a photographic memory), but will also take you time that you may not be able to afford. The opportunity to plan for the next day’s hearing, deposition or follow-up. 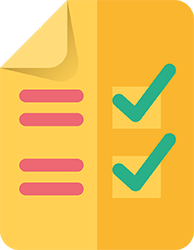 A copy of the proceedings not only provides you with the ability to make notes for future motions, but it also allows you to summarize the day, and distribute the records for follow-up by your staff for further lines of inquiry. The freedom to fine-tune witness preparation. By having a rough transcript of what and how your witness answered questions, you can identify potential weaknesses or confusion in his testimony. Although you can’t coach him on what to say, the record can help you explain how he can clarify and improve his testimony. Likewise, you can also use the transcript to identify weak areas in the opposing counsel’s witness testimonies, arguments, and questions that you may be able to exploit. A rough draft can be extremely beneficial to you, your witness, and your case. A rough draft that is as accurate as possible can be even more beneficial. Depending on their skill level, some court reporters will be able to provide a rough draft for you and some will not. At Casamo & Associates, we have many court reporters who have the skill level necessary to produce a high quality rough draft transcript for you. We understand that no one is perfect, and everyone can make an occasional mistake, but by hiring one of our court reporters, you can see to it that these mistakes are limited. The rough draft you’ll receive will be coherent and as complete as you need it to be to get a head start on polishing your case. If you think you might want a rough draft after an upcoming deposition or legal proceeding, let us know in the comments field when you use our scheduling form or when calling us at (703) 837-0076.